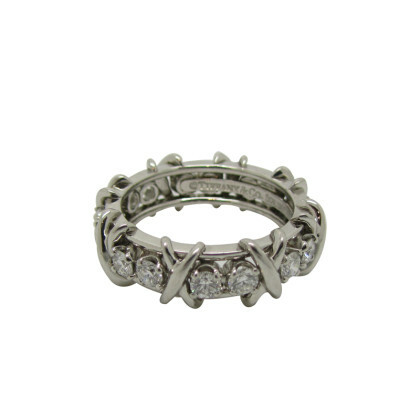 Description: Tiffany & Co. Schlumberger® 16 Stone Ring. 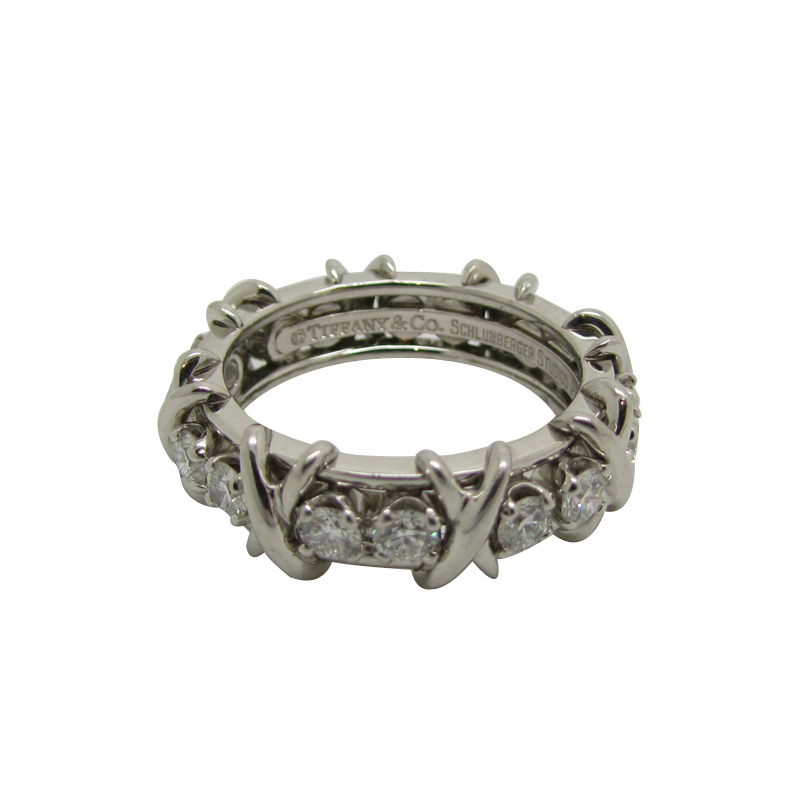 This exquisite ring is set in platinum with 16 round brilliant cut diamonds of total weight 1.18 ct.
Jean Schlumberger’s rendition of an “X,” using the popular symbol of love within the design of the ring. 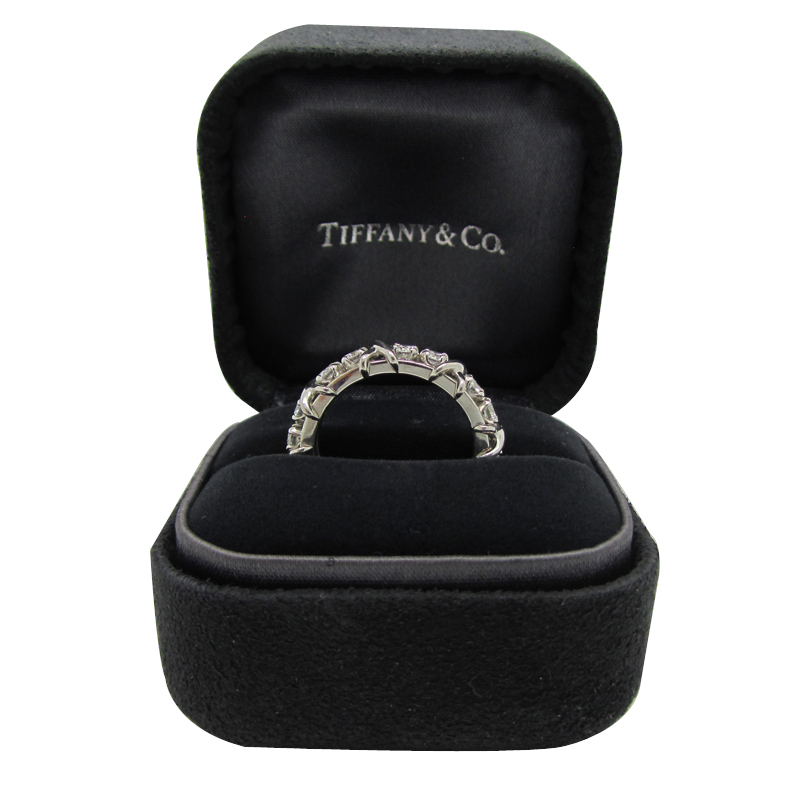 The ring comes in a Tiffany inner and outer presentation box with our own certificate of authenticity.